Automotive Maintenance is something most of us ignore; until our vehicle stops working, that is. Auto Maintenance is one of the most serious aspects of ownership; it determines the longevity, performance and reliability of your vehicle. 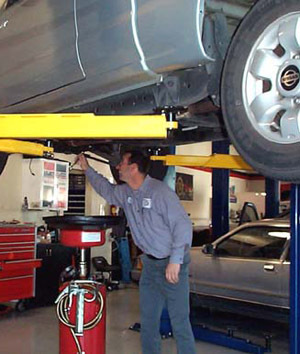 Our Maintenance Services help keep your vehicle in top shape. Whether you just need an oil change or it's time for a tune-up, we have the expertise to get the job done at a price that's fair. * Values represent an average of manufacturers recommended maintenance intervals. Please consult your owners manual for your vehicles recommended maintenance schedule.